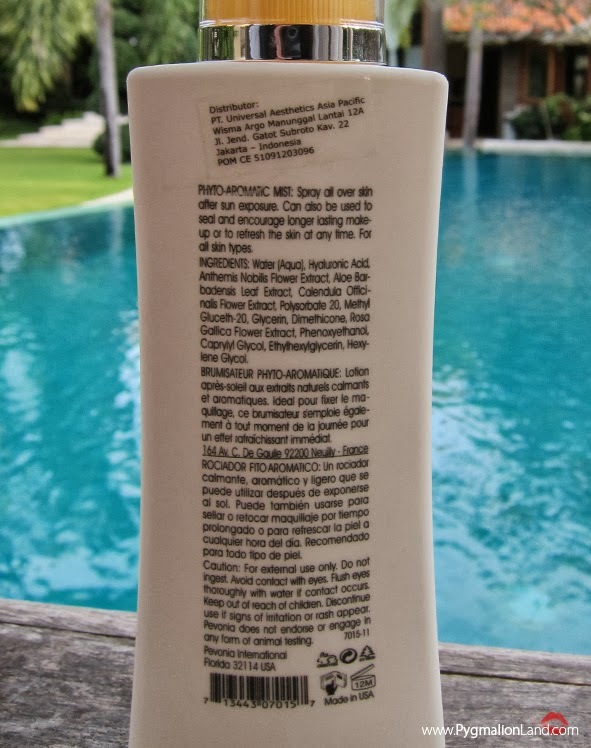 the best part its, this product applicable for everyday use, swimming activities or any sun exposures. 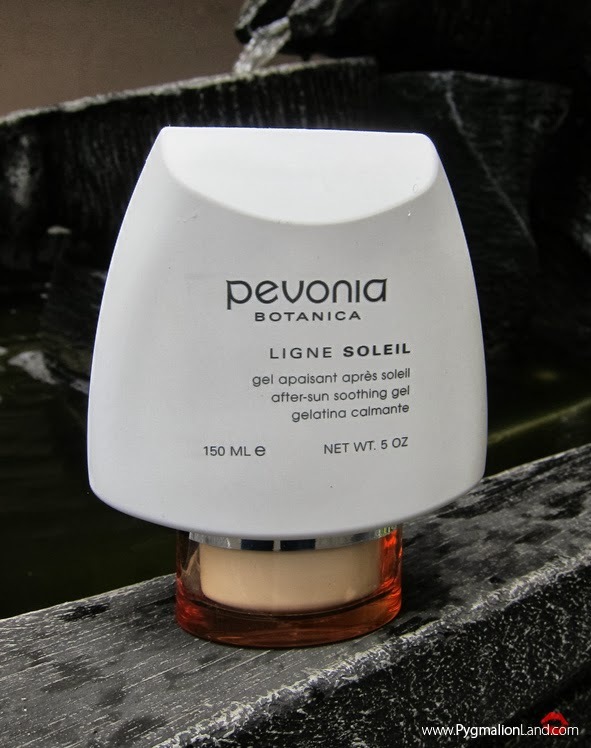 protect my skin from the sun’s damaging UVA & UVB ray. 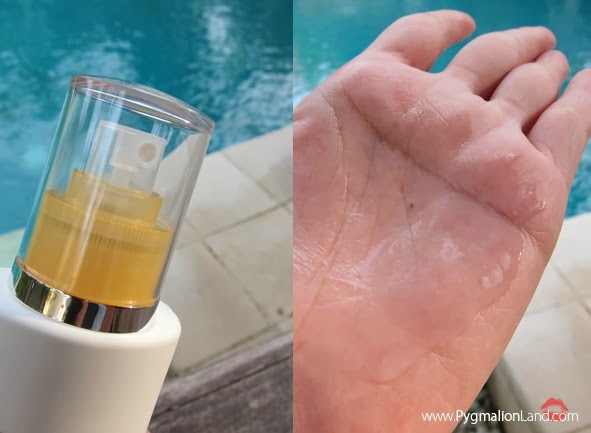 It's also leaves skin feeling pampered, and just a bit cooler and more comfortable. Texture bit creamy but it's a non greasy product. I used this product all over my face & body. 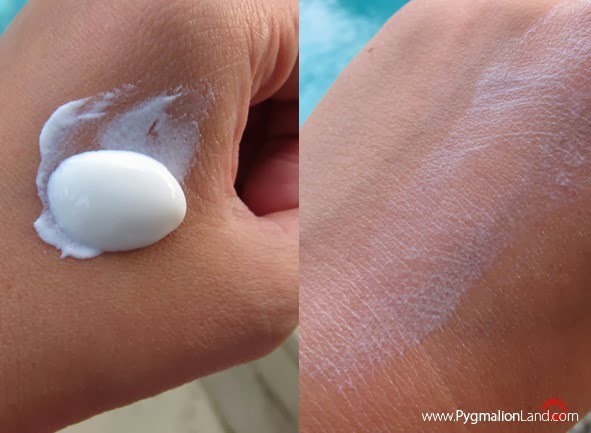 you'll feel how it's protect your skin from hydration and moisturizes under the sun. 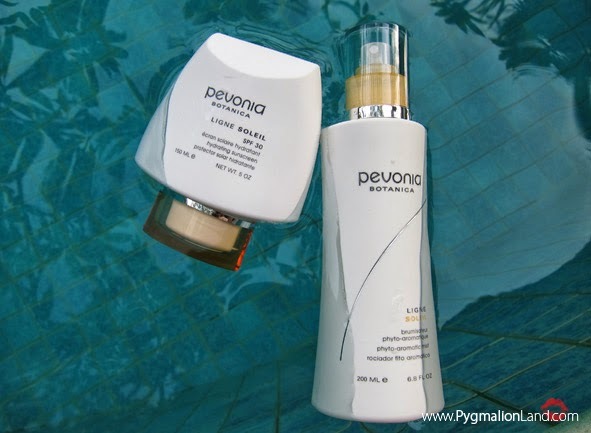 Suitable for all skin types, you can use this product for daily activities or for beach vacation. I'm a beach & sun girl, so sun screen are important to me. 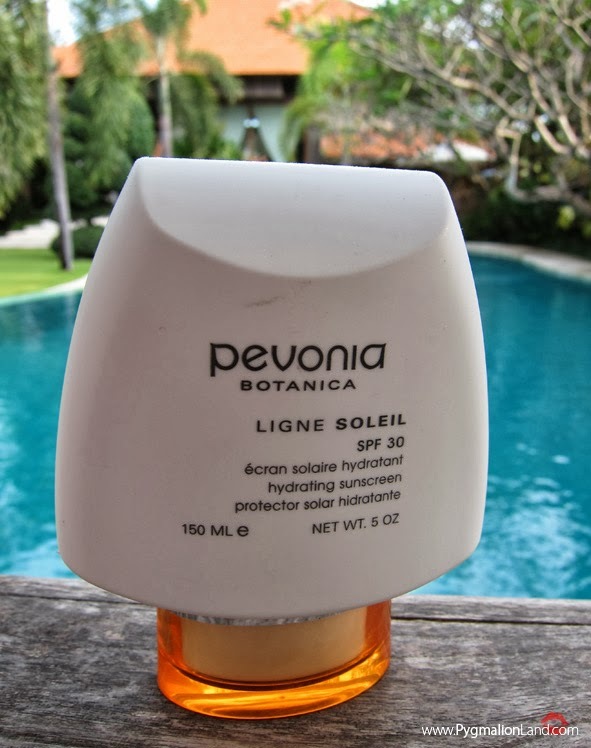 I've been used many sunscreen until now, and Pevonia Botanica now are on my top list!! ohh and btw, it's also prevents premature aging on your face and body. 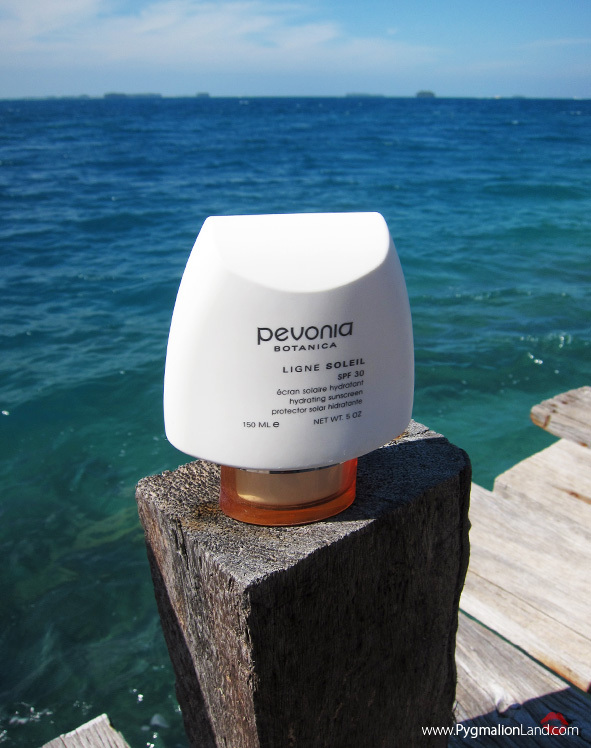 It's formulated to balance and restore your skin's natural moisture. instead smells like chamomile, i find it's has orange scent. you don't have any idea, how hurt my skin was. during my last trip to beach, as you can see from these picture below. 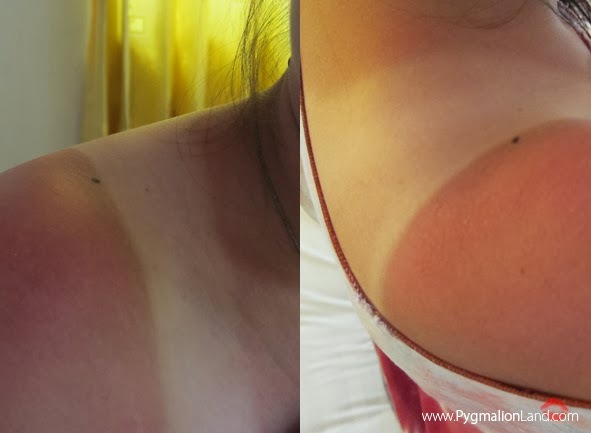 so horrible *so let's me remind you again : always wear your sun block! feels so cold and watery, makes it easy absorb to your skin. i can see the redness faded away a bit. with this cooling and refreshing emulsion. 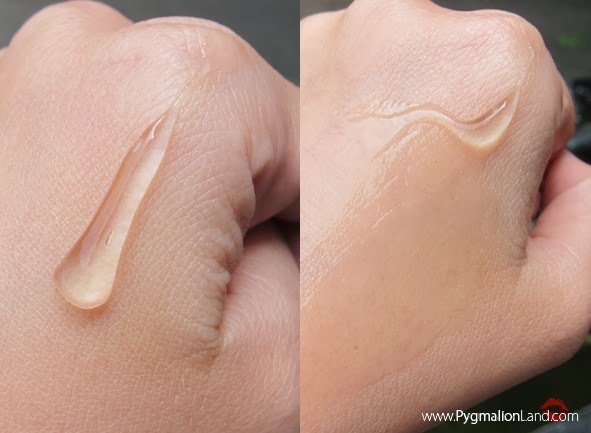 look at this product texture, so watery! Love the green tea & chamomile smells, it works fine with any skin. 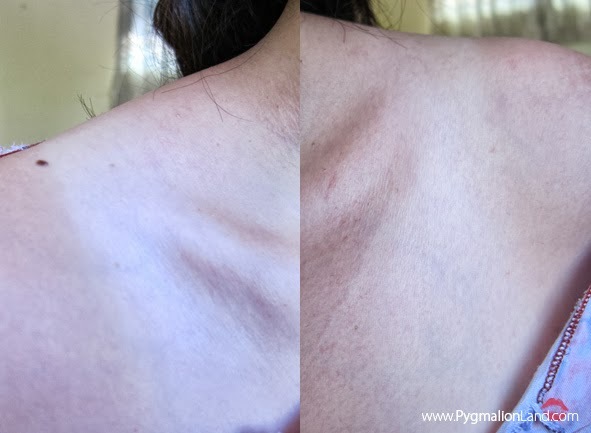 alcohol dry out your skin! 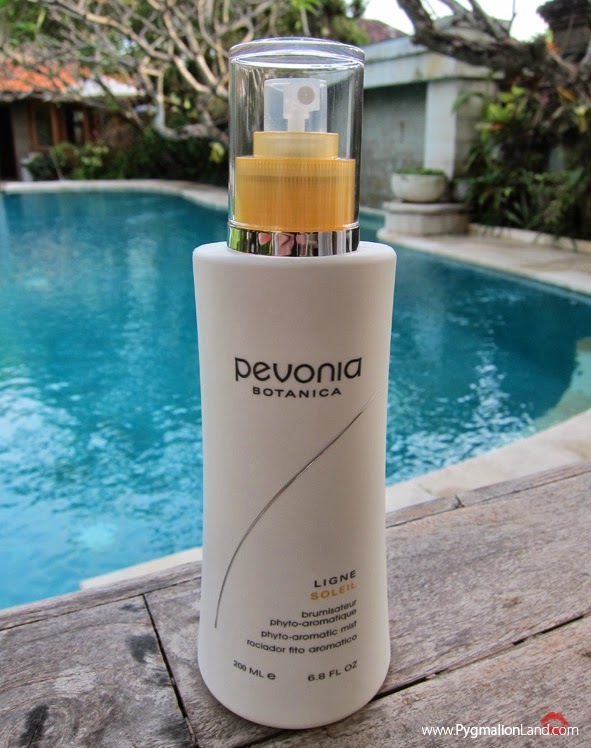 baguss banget reviewnya ci, bisa worth gitu ya..
Aeehh.. this is a very nice review!